. إن Apartments on Chapman حريص على توفير الراحة للنزلاء، فلا يوفر الموظفون جهداً في تقديم أفضل الخدمات وضمان حسن الاستقبال. يقدم الفندق واي فاي مجاني في جميع الغرف, تسجيل وصول/خروج سريع, تخزين الأمتعة, واي فاي في المناطق العامة, صف السيارات لضمان الراحة القصوى لضيوفه. استمتع بوسائل الراحة الراقية في الغرف أثناء إقامتك هنا. بعض الغرف تتضمن تلفزيون بشاشة مسطحة, اتصال لاسلكي بالإنترنت, اتصال لاسلكي بشبكة الإنترنت (مجاني), غرف لغير المدخنين, مكيف هواء لمساعدتك على استعادة طاقتك بعد يوم طويل. كما أن مجموعة الخدمات الواسعة الموجودة في الفندق لضمان راحتك تترك لك الكثير من الخيارات لقضاء وقتك أثناء فترة إقامتك. اكتشف مزيجاً ساحراً من الخدمة الاحترافية والخيارات الواسعة من وسائل الراحة والمتعة في Apartments on Chapman. يُرجى العلم أن ساعات عمل مكتب الاستقبال من الساعة 8:00 صباحًا إلى 7:00 مساءً من الإثنين إلى الجمعة، ومن الساعة 9:00 صباحًا إلى 6:00 مساءً في أيام السبت، ومن 9:00 صباحًا إلى 2:00 مساءً في أيام الأحد والعطلات الرسمية. يُرجى الاتصال بالفندق مباشرةً في حالة تسجيل الوصول بعد هذه الساعات. Room is so nice quite huge have living room and bed room with a big closet .In the kitchen have all stuff for cooking light meal . 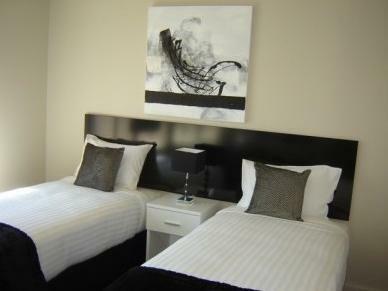 We loved our stay during Melbourne Cup week. 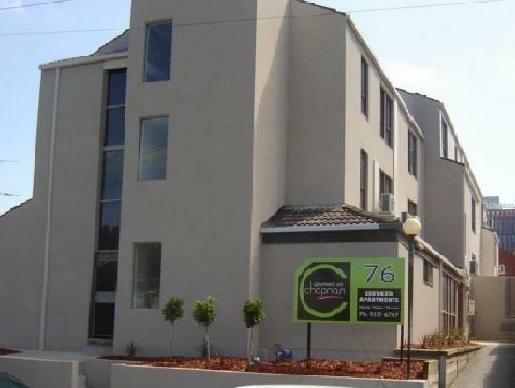 Clean comfortable apartments that were excellent value for money. Close to so many places and public transport. Quiet and well equiped. 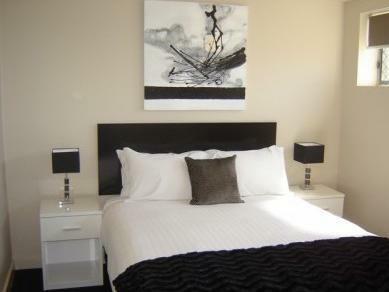 The rooms are lovely, staff are wonderful and the location is convenient. Our stay was great, thank you. super friendly staff. Clean. Safe. Great location. Our stay in general was rather average. The mould in the bathroom is a major concern. Also we were locked out of the building late at night on two separate occasions. After the first time brand new swipe cards were issued however these also failed two nights later. After the second time I requested that compensation be provided however at check out I was not even asked how our stay was. No offer of compensation was provided whatsoever. I find this very poor. Free parking, easy access and cleanliness. Satisfied thus far, with a family of 5 - 4 adults and one child. Very quiet setting in a residential street. Free parking was very welcome. Excellent access to the city and Queen Victoria Markets by tram. Very handy if you need access to the Royal Children's Hospital. A very nice studio apartment with everything we need including washine machine, oven, etc. The deco is trendy, stylish and comfortable. The only concern is no lift in the building and our partment is on 4/F! It is really exhausted for us to take the luggages in and out. Other than that, everything is satisfied! It's a little far away from town and it was quite hard to find the receptionist. Half the time, there were no one at the desk. What's good is that it is close to a tram line that will take you directly to the city. 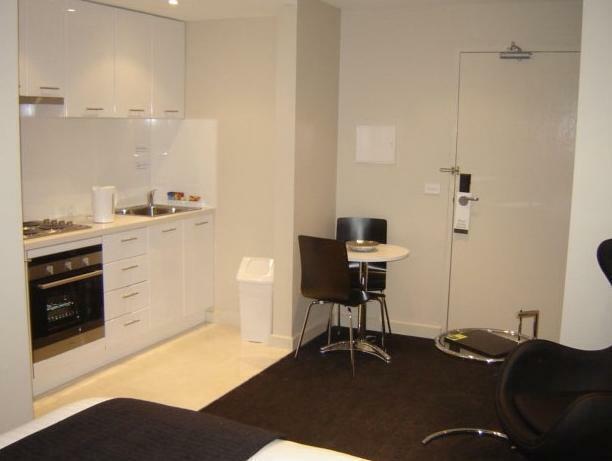 Nice apartments and will look at staying there again on our next trip to Melbourne! the manager john was very helpful with providing information about catching public transport to the apartments and after hours check in. the room was perfect and well equipped with 2 televisions and a the furnishings were modern & made for a very comfortable stay. a great location that which took the hustle & bustle out of staying in a large city.